The path to corrupt behavior may sometimes be a steep cliff instead of a slippery slope, according to new findings in Psychological Science, a journal of the Association for Psychological Science. 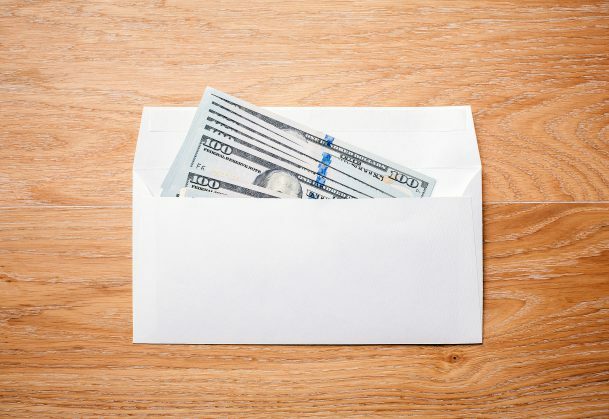 In four studies, psychology researchers find that people are more likely to engage in bribery if it occurs as a sudden opportunity rather than as the result of a gradual process. “This is a surprising finding, given the strong intuitive and theoretical appeal of the slippery slope analogy,” he adds. The popular idea that unethical behavior tends to start small and build up over time falls in line with established psychological processes like moral disengagement and shifting social norms – the gradual progression from small, ambiguous acts to progressively larger transgressions may enable those involved to maintain the belief that they are moral, upstanding people. But Köbis and VU colleagues Jan-Willem van Prooijen, Francesca Righetti, and Paul A. M. Van Lange wondered whether corrupt behavior might also emerge when people encounter what appears to be a “golden opportunity” – a unique circumstance that stands to convey large and immediate benefits and seems too good to pass up. Corrupt behavior that happens once, in response to a sudden opportunity, may be easier to rationalize than repeated unethical behaviors, the researchers hypothesized. Köbis and colleagues decided to put the two possible mechanisms to the test in a series of four studies. In the first study, 86 student participants played a competitive game with five rounds. In each round, two competing players adopted the role of CEO of a construction company, with a budget of $50,000 each to make bids for a contract worth $120,000. A third player, the public official, awarded the contract to the highest bidder. If the bids were equal, the players split the award down the middle. In reality, only one of the competing players was actually a participant – the other competitor and the public official were represented by a computer program. Importantly, the game was stacked such that participants had the opportunity to bribe the public official. In some cases, players were presented with a steep-cliff option: They could invite the public official on a private vacation that ensured their advantage in subsequent rounds. In other cases, players were presented with a slippery-slope option: They could invite the public official to a banquet, which ensured their advantage in a quarter of the subsequent bidding rounds, and they could later increase this advantage to 100% by inviting the official on vacation. The overall cost of both options were the same, only the path towards severe corruption differed. The resulting data showed that people were much more likely to bribe when they were given the abrupt steep-cliff option than when they were given the gradual slippery-slope option. Köbis and colleagues saw the same pattern of results in a second study that included a third bribery condition, in which the second corrupt act was less severe than the first. To ensure that the game held some real-world incentives for the participants, the researchers conducted a third study in which players earned actual money in proportion to their winning bids. Again, people were much more likely to use the option to bribe the official when the bribe was immediate and severe than when the bribe was gradual. A fourth study, with all players represented by participants and greater monetary incentives, showed similar results. Importantly, in all four studies participants acknowledged the moral transgression involved in bribery. Participants consistently rated severe bribery as less moral than mild bribery and no bribery. C. Köbis is supported by a Research Talent Grant from the Netherlands Organisation for Scientific Research (Grant No. 406-12-003). All data and materials have been made publicly available via Figshare. The complete Open Practices Disclosure can be found in the supplementary material. This article has received badges for Open Data and Open Materials (information about badges is available online). Interesting study finding lending support to a willingness to engage in morally dubious behaviors in order to make strong “first impressions” on a naive party. The steep “slippery slope” may be better as, after having formulated our opinions of the naive other, we continue our ruse to “win” him or her over to the benefits (as we propose) that they will experience by siding with us. Of course, should wr fail, they will likely take legal recourse to redress their loss (possibly, with a vengence for having been the dupes of our deception)!